April 4th is the upcoming date for the Holmen Area Rotary Club's Service Auction. The Service Auction will be held at the Lunda Center at WWTC in La Crosse. This event is the clubs biggest fundraiser of the year and provides a majority of the funds that allows the club to do their work in the community. It is a lot of fun! With live auction of unique services and items, bucket raffles, 50/50 raffles and more. Non-stop action. Appetizers and drink. 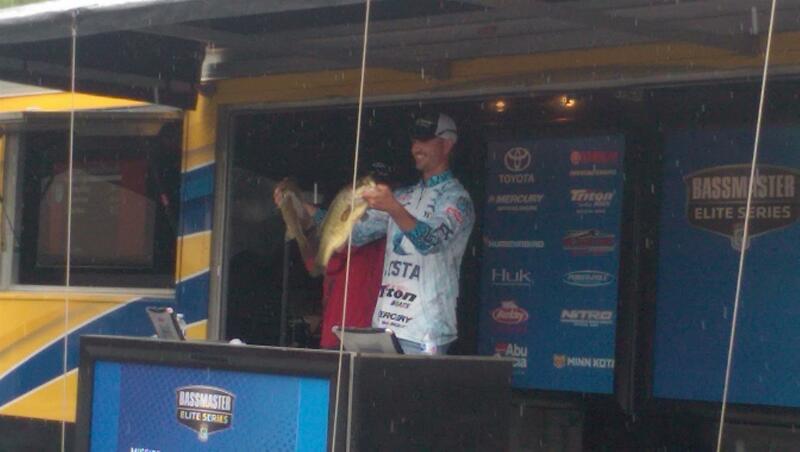 This year's MC will be Dustin Luecke! A native of Onalaska, News 19 Daybreak anchor Dustin Luecke has been a part of the WXOW/WQOW family since October 2009. During college, Dustin started working full-time at WQOW in Eau Claire operating the audio equipment for News 18 Daybreak and recording local sports highlights. 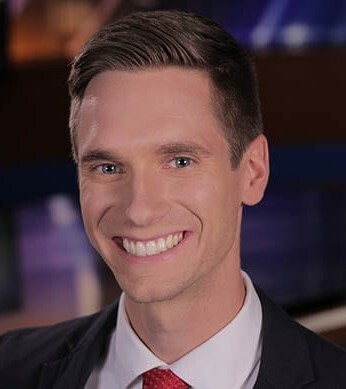 After graduating from the University of Wisconsin-Eau Claire, Dustin started his career with WXOW as a Weekend Reporter. He transitioned to the role of Weekend Sports Anchor before eventually joining News 19 Daybreak as an Anchor. Dustin said that while the wake-up call is tough, he likes to have an excuse for drinking copious amounts of coffee. Dustin spends much of his free time with his wife, Dominique, and sons, Damian and Dax. He’s an active member of the Rotary After Hours club in La Crosse and enjoys staying involved with community theatre—both on stage and behind the scenes. During the summer, he can often be found on the area’s many great golf courses. He’s also becoming an avid curling enthusiast during the long Wisconsin winters. If you have a story you’d like to share, feel free to contact Dustin at 507-895-9890 or dluecke@wxow.com. Tickets $20 are in advance. Buy a table for 8 and get drink tickets, table candy and a table tent with your company name on it for only $200. In return for your support, your company’s name and logo will be prominently posted at the entrance, in our program, on the tables and on the large screen prior to the event starting. Additionally, if you would like to attend we will provide complimentary tickets for you and your guests. Just let us know how many you would like. On Saturday, April 28th, the Holmen Area Rotary Club and Holmen Interact Club got together and did their semi-annual road clean-up. Once the snow finally melted, the massive amount of litter emerged. Clean-up took a little longer this time, due to the heavy amount of debris strewn through the ditches. There were 24 trash bags filled due to the group's efforts. Thank you to all those that showed up on a windy day to fill up trash bags! Holmen looks better for it. April 12th is the upcoming date for the Holmen Area Rotary Club's Service Auction. The Service Auction will be held at the Lunda Center at WWTC in La Crosse. Brad got his start in1983 as a radio journalist at Midwest Family Broadcasting in La Crosse. 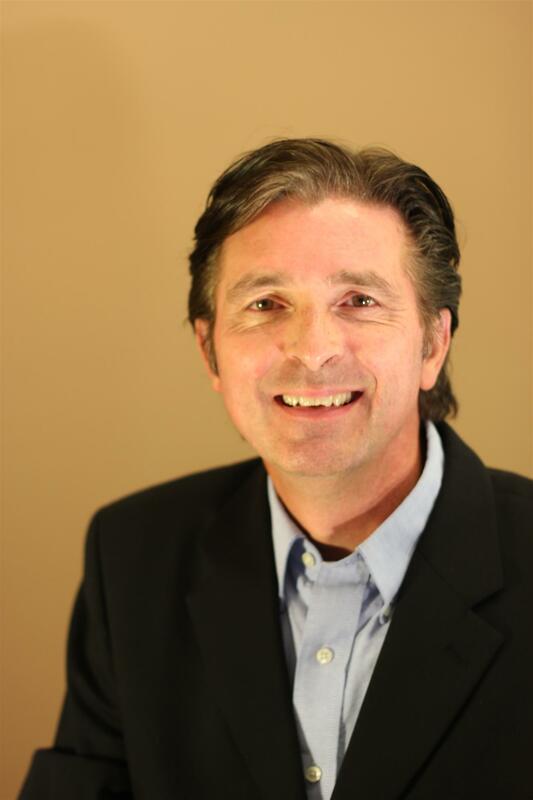 After serving several years as both a program director and news director, Brad moved into sales and marketing where he has spent over 32 years working with local, regional, and national businesses providing creative and multichannel marketing strategies. Brad often serves a project manager developing budgets and managing all communication and timelines with his marketing teams. Brad works with organizations to develop meaningful relationships with media organizations to foster earned media opportunities in an increasingly competitive environment for non-paid media support. Brad has served on numerous boards and committees for several nonprofit organizations over the years, in addition to emceeing various fundraising events. In his free time, Brad enjoys sailing, downhill skiing, waterskiing and biking. Tickets $20 are in advance. Buy a table for 8 and get drink tickets, table candy and a table tent with your company name on it for only $180. Order NOW as these little buggers will need time to get through TSA and get on the plane to make it here in time! The Holmen Area Rotary Club members donated and shopped to provide shelter clients a Thanksgiving meal. 10 families sponsored by New Horizons will receive a bag containing the ingredients to create a traditional Thanksgiving meal. The New Horizons Shelter and Outreach Centers are a shelter for individuals and families who have experienced domestic violence. Their mission is to provide safety and services to adults and families who have experienced domestic and sexual abuse so that they can make decisions about their lives in a supportive, nonjudgmental and empowering atmosphere. They answered over 2100 calls to their crisis hot line and sheltered almost 200 men, women and children with almost 11,000 nights of shelter in 2016. Providing these Thanksgiving meals allows some of the displaced to feel a small sense of normalcy. Along with the meals, the Rotary Club also provided a box of miscellaneous individual toiletries and gift cards. A hard freeze has put an end to any outdoor Community Garden activities, giving us time to reflect on how the year went and make plans for the future. Thank you ! to all the volunteers that took time to help out. Increase size of the available plot. 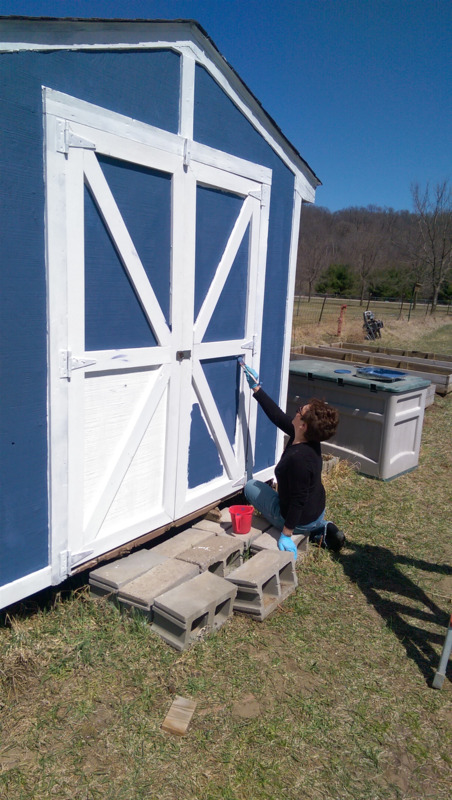 Fix up and paint the shed. For fall-early spring have soil tested, plowed, add compost/fertilizer. Increase the number of available volunteers, especially during mid to late May. Direct appeal to create opportunities- for area church groups, youth to fulfill community service hours, etc. Be on the lookout for needed materials- inexpensive fencing for tomato cages, straw or used silo bags to keep weeds down. Improve management of volunteers with easy to follow garden structure and accessible priority task list on site. More focused mix of plantings. I am sure 2018 will be a better year for the Community Garden and the people that it will help. Even if you think you have a brown thumb, consider becoming a Community Garden sponsor or volunteer. I-FEED is an annual Rotary event that focuses on supplying food locally and to other parts of a hungry world. This year's event was November 4th at Logan High School in La Crosse Wisconsin. Hundreds of people showed up to participate. There were 36 teams of 12 people each that spent their Saturday packing basic meals that are easy to heat and eat. The Holmen Area Rotary Club sponsored three teams, two Holmen High School Interact teams and one adult club team. Each team mans a table and has to measure and fill ingrediants in each bag, heat seal it and create the master carton of 36 meals. The action is fast and furious, with people cheering the teams on. Money collected goes to purchase the basic meal ingredients. The meal consists of a combination of rice, soy, dried vegetables and a vitamin enriched protein powder. Each meal bag can feed 6 people. The teams packed a total of 77,000 meals for distribution. The meals were originally destined for Nicaragua. However this year, on short notice, 21,000 of the meals were trucked to Minneapolis and put on a Delta flight to Puerto Rico to help with hurricane relief efforts there. Also as part of the event, non-perishable food items were collected. During I-FEED 2017, 26,300 food items were collected and donated to the Hunger Task Force. The Hunger Task Force is a supply resource for the area's food pantries. 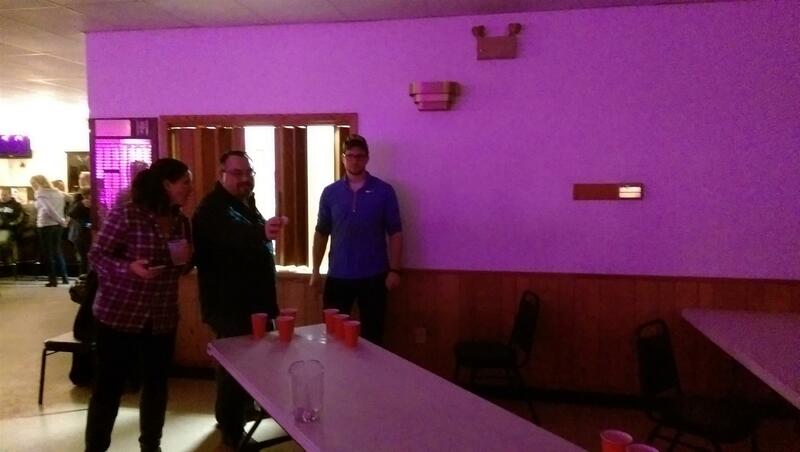 On Saturday October 28th, Holmen's Hope had their First Annual Chili and Mac-n-cheese contest. Holmen's Hope is a local charitable organization strongly supported by the Holmen Area Rotary Club. The event drew a large crowd to sample the 13 Chili and 4 Mac-N-Cheese entries. 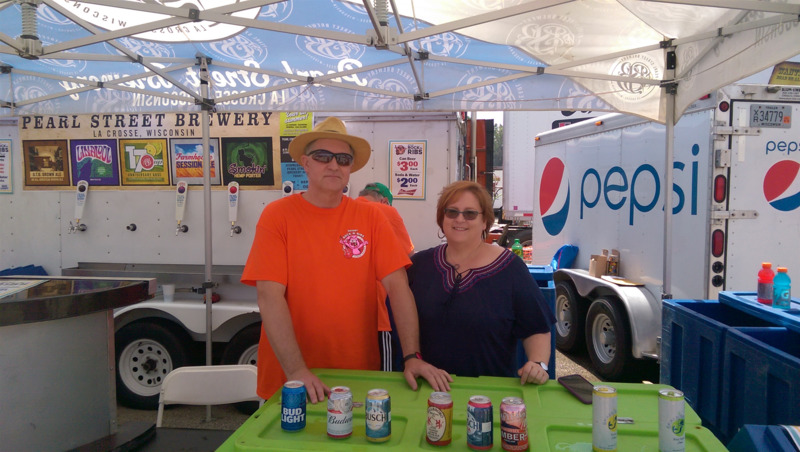 The recipes were tasted and judged by Professional Kansas City Barbecue Society Judges along with a 'Peoples Choice' award, voted on by the public tasting the various fare. Silent Auction, Bucket Raffle, Root beer floats added to the fun! Over $8000 was collected by Holmen's Hope for their school backpack program. Wow! Even with the cold weather and blowing wind, the participation in the highway cleanup on Saturday was phenomenal. Because there were so many volunteers, the job was completed an hour earlier than was done in the past. "Thank you" to all who participated, with a special "Thank you" to all the Holmen High School Interact Students that woke up early on a blustery day to make our community cleaner. Saturday October 21st, Holmen Area Rotary Club Members pitched in to help with the Habitat for Humanity-La Crosse Area 5th and Mississippi street project. Dodging raindrops, an erosion barrier and safety fence were erected, floors cleaned, cabinets moved, windows cleaned, shelves built and painted and many more tasks were completed. The HARC shared the day on site with the Ladies on Ladders Group from the La Crosse Area. They swing a mean hammer. Good Luck to Sue and Andi and their trip to a Habitat build in Cambodia! A group from the Holmen High School Rotary Interacters also took part, breaking a sweat for a good cause. By the end of the day everyone left dirty and tired with a sense of real accomplishment. Thanks to those that participated and hope you can join again next time. For more info about Habitat and the La Crosse build please visit http://www.habitatlacrosse.org/. On August 14th, Pranav Waghanna came to Holmen from India as part of the Rotary Youth Exchange program. Exchanges for students 15 to 19 years old are sponsored by Rotary clubs in more than 100 countries. Students that participate in the Exchange Program learn leadership skills, make new long lasting friendships, learn a new culture and language and become truly global citizens. Pranav will be staying with a local host family and starting the academic year at Holmen High school in the fall. 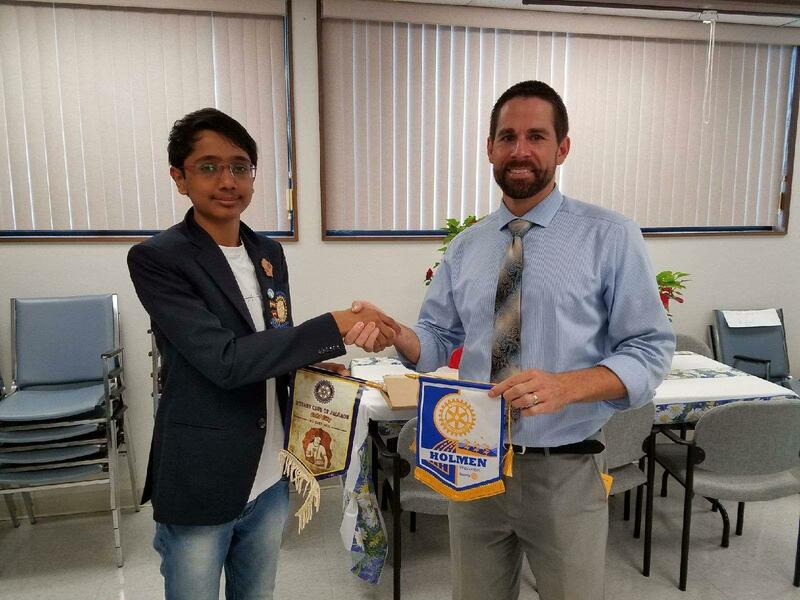 At the Wednesday August 23rd Holmen Area Rotary Club meeting Pranav was officially recognized and exchanged his home town Rotary banner for a Holmen banner with Jason Munz, current club President. Let's engage with Pranav and learn about the Indian culture. And also show him the best that the Holmen Area, Wisconsin and this Country has to offer. The Holmen Area Rotary Club with the help of myriad sponsors, built an open air picnic shelter in Deerwood Park. The shelter is conveniently located between two of the baseball fields and should provide shelter to gathering groups from the sun and rain for many years to come. Permits for events to use the shelter can be obtained from the Holmen Village Hall. 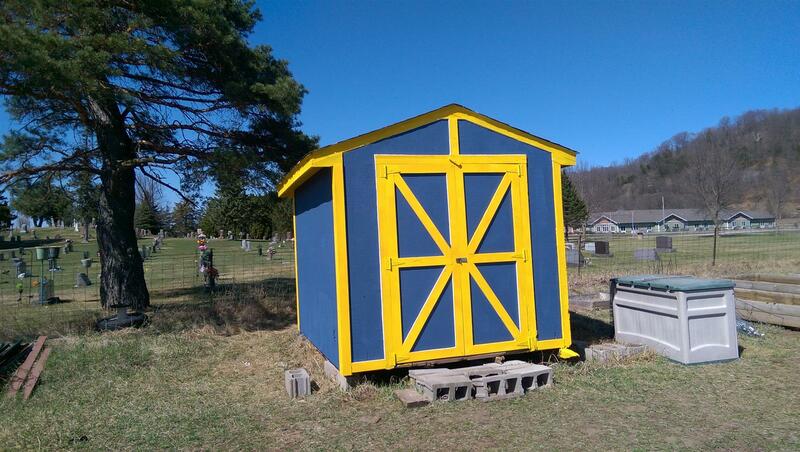 On Wednesday night August 30th, 2017 from 6:00 to 8:00, the Holmen Area Rotary Club and guests will gather at the shelter to commemorate it being built. If you plan to attend please bring a side dish/dessert to pass. SAVE THE DATE - SAVE THE PLANET! Holmen Area Rotary Club with help from Thrivent Financial is hosting an E-CYCLE event September 9th from 9:00 to Noon at McHugh Excavating site on 35 just south of Route 53 . Devices accepted will be recycled in an environmentally responsible way. Electronic recycling of Computers, Microwaves, TVs (even the big honking projection ones if you can get them there! ), small appliances, tablets, radios, boom boxes, monitors etc. Note- Devices containing refrigerant (ie.dehumidifiers, refrigerators, air conditioners) and large appliances (ie. washers, dryers, ranges) can not be accepted. The Yellow Squash are winning! Come help us battle the attack of the squash! Every day they seem to multiply! They need to be eaten! Send us your best yellow squash recipe so we know how best to battle them. Or better yet, stop by and take some home. Check out Recipes to date under "Read more..."
UPDATE - As of today (Sept 13) the Holmen Community Garden has produced and distributed over 1500 pounds of food. The Community Garden is starting to produce. The first veggies were picked this week and set out for distribution. The initial hard work is starting to pay off but to stay ahead of the weeds will require additional volunteers. Regular work nights are Tuesdays and Thursday evenings 6:00 to 8:00 but if you can't make those times you can stop by anytime and weed a row or two. The garden is located between Green Mound Cemetery and Route 35 off of Bluffview Drive. For more info contact Tom Knobloch of the Holmen Area Rotary Club or John Oliver of the Holmen Lion's Club. Thank You to all the participants and attendees of this years Rock-N-Rib Fest! The 2017 Rock-N-Ribs Competition June 23rd and June 24th was a great success for the La Crosse Valley View Rotary and the Holmen Area Rotary Clubs. The event saw an increase in participation and drew huge crowds. The list of Winners of the cooking competitions can be seen at www.rotaryrocknribs.com. 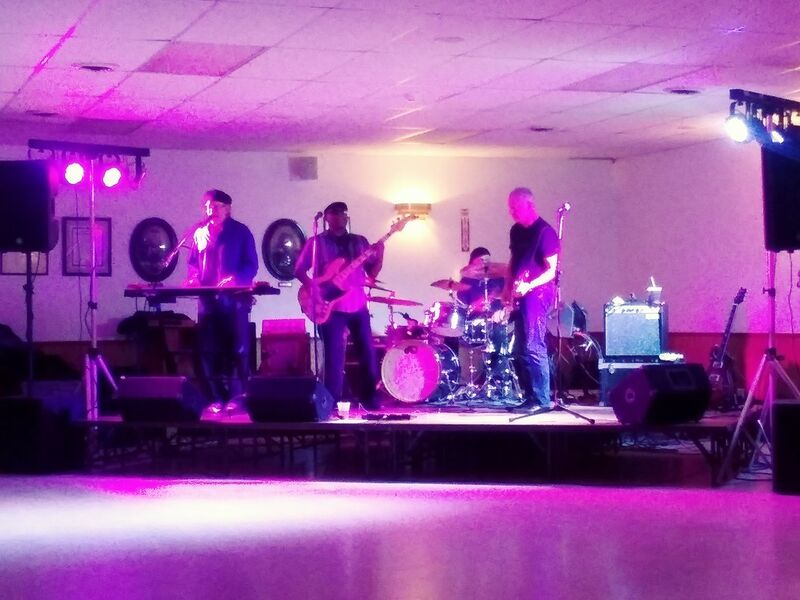 The food was hot and tasty and the musical talent was spectacular. 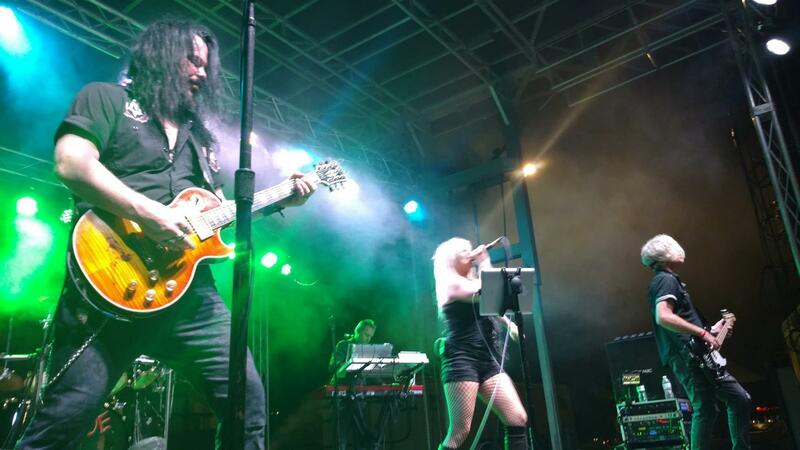 Minneapolis cover band Hairball gave one heck of a show on Friday night. Not only was the music fantastic, but the constant costume changes to emulate the lead singer of the covered band were phenomenal! If you missed it this year, make sure you set aside the time for Rock-n-Ribs 2018. 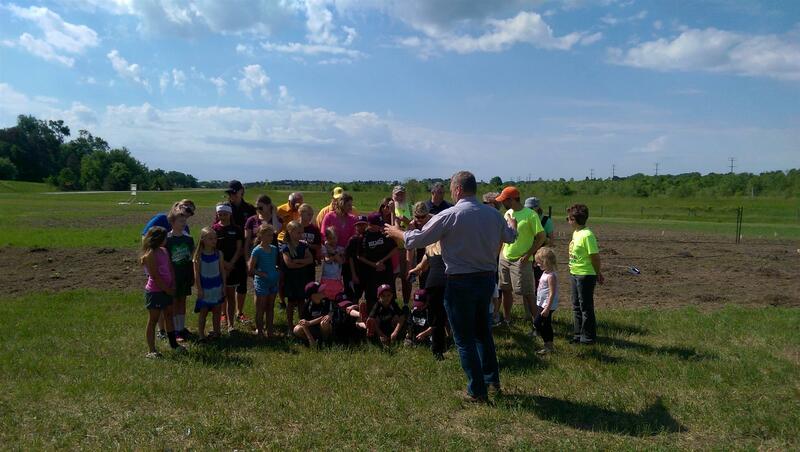 The Holmen Community took a step in fighting hunger by breaking ground on a new Community Garden on the north side of town. 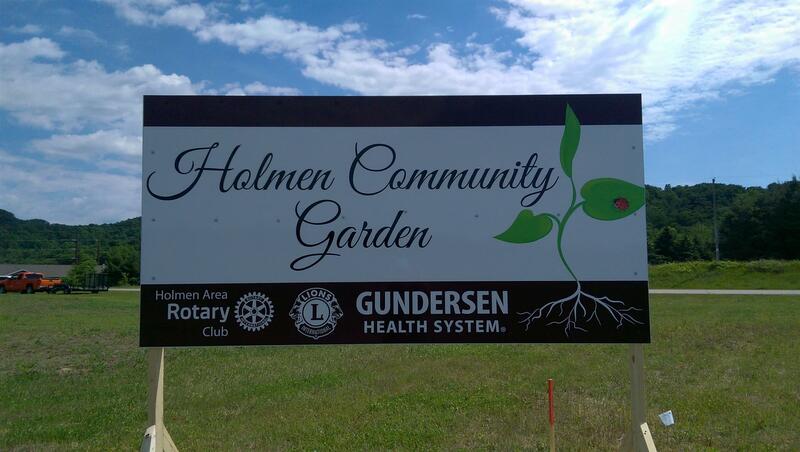 The garden is a collaborative effort between Gunderson Hospital, The Holmen Lions Club and the Holmen Area Rotary Club. 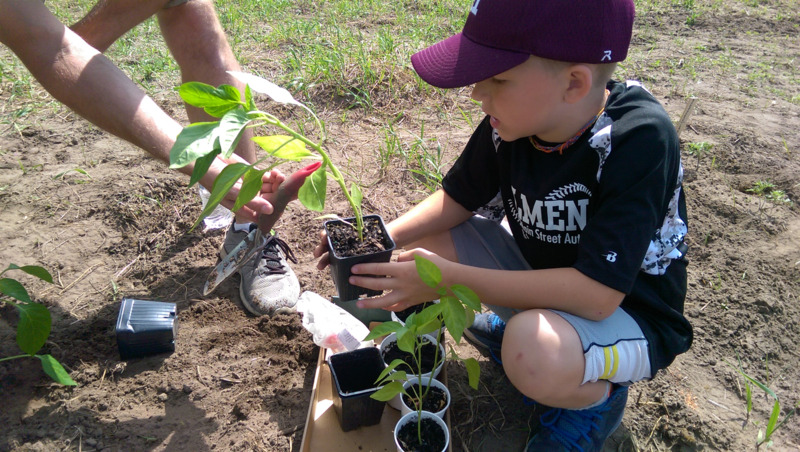 On June 8th, representatives from Gunderson, The Holman Lions and the Holmen Area Rotary Club gathered to dedicate the garden and do a little planting. Food from the garden will go to those in need through direct donation or local food pantry. For those wanting to help out, work nights are Tuesdays and Thursdays from 6 to 8 PM. The garden is located between Green Mound Cemetery and Route 35 off of Bluffview Drive. For more info contact Tom Knobloch of the Holmen Area Rotary Club or John Oliver of the Holmen Lions. Food + Music = Rock-n-Ribs 2017!!! 2017 Service Auction a Success! Auction night was one of fun, great food and large hearts. The Holmen Area Rotary Club would like to thank all of those that participated. By stepping up, your generous actions help provide the funds that keep the Rotary Club and their good works rolling. Overall there was a 30% increase in donations over last years event. This raises the bar for next year but the club enjoys a good challenge. Hope to see you there! APRIL 29th - First Steak Cookoff Association Judge's Class - Become a Judge- taste all the different entries! Don't Miss it- You'll be hungry if you do! Latest Auction Action Update ! Attorney Services – Will, Durable Power of Attorney and Medical Power of Attorney- $100/min Sonja Davig. Fine Art by Art Anderson- Two beautiful prints perfect for any office, study or living room. Edward Davig. Brewer Basket- Your favorite Wisconsin Baseball team items and tickets. While many folks are starting the second half of their calendar year on July 1, the Holmen Area Rotary Club is beginning their fiscal year. Not only is July 1 the first day of Rotary’s fiscal year, this date marks the beginning of this relatively young club’s 10th Anniversary Year. The Holmen Area Rotary club consists of approximately 35 members, including business owners, community leaders, retirees and spouses, school administration, insurance, financial advisors, real estate brokers and many more unique classifications. Rotary represents greater than 1.2mm individuals around the world, making them the largest single service organization in the world. Rotary’s motto is “Service Above Self” but can readily be described in six words: Join Leaders, Share Ideas and Take Action. Speaking of Taking Action, “Our club is very active both locally and internationally”, exclaimed Adam Fleis, the club’s president during the 10th Anniversary year. Community projects completed/ongoing include Holmen’s Hope Community Dinner, Spring Community clean up, Highway 35 road-side clean-up, a 4-sided clock located in Halfway Creek Park, purchase of a Holmen Police K-9 Dog, Camp Decorah Boy Scout Camp restoration, Summer lunches in the Park, Respect Retreat and STRIVE Program (Holmen High School mentorship programs), as well as Holmen High School Scholarships, just to mention a few of the local community projects this club has accomplished in its nine years. And community projects are not all this club does annually. “We host over a half dozen ‘social events’ throughout the year at various venues to promote comradery and to have good fellowship”, remarked Bryan Helgeson, club appointed social director. “One project we are currently working on and are excited to say are very close to finalizing the fundraising portion of the project is our Deerwood Park shelter”, Helgeson went on to say. This will be a $40,000 shelter project and will be donated to the Village of Holmen. Internationally, this club has supported several clean water projects in multiple villages in Peru as well as a central water system and private family restrooms in another community. These projects are accomplished through collaboration with Water Missions International in one instance and directly through a local Rotary Club in Lima Peru by providing education and funding for the construction of Bio Sand Filters. 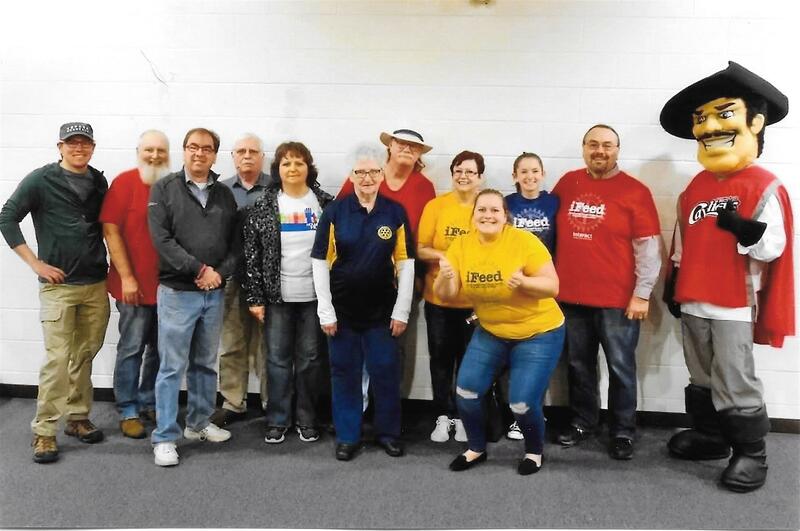 “Clean water is something we all take for granted”, indicated Dean McHugh, Rotary District 6250 District Governor and club member, “and now, villages in Peru have experienced what it is to be able to drink a glass of water without concern for contamination”. Outside of clean water in Peru, our club has assisted in providing financing to purchase a cow for a community school facility in Kenya. And another international project is our ongoing support for both incoming and outgoing foreign exchange students at the high school level. Rotary has a Foundation that all clubs and individual members support financially. The funds received by the Rotary Foundation are used for many goodwill projects around the world, the eradication of Polio being the primary project. However, a portion of those funds are redirected back to area clubs in the form of Grants to support various club projects. As a result of this club’s fundraising, collaboration with other clubs financial supporting our international projects in collaboration, coupled with grant funds received from the Rotary Foundation, the Holmen Area Rotary Club has raised and supported nearly $250,000 worth of projects in our community and internationally. If you have a desire to “Join Leaders, Share Ideas and Take Action”, please join other like-minded individuals for a hot breakfast every Wednesday morning at 7:00 a.m. at the Holmen Village Community Room or visit our website at homenarearotary.org. We look forward to seeing and/or hearing from you. Interact is a service organization for high school students that is affiliated with Rotary International. Interact Clubs are sponsored by a corresponding local Rotary Club, giving students an opportunity to provide service in the community and around the world. Interact students from five area high schools: Aquinas, Central, Holmen, Logan, and West Salem recently worked together to help local food pantries and those in need of food. The Interact teams packaged over 54,000 meals and collected donations of an additional 30,000 food items from local volunteers and businesses. The attached video about their project took first place in Rotary's International Interact Video Contest beating out 87 other projects in 25 countries. Holmen Rotary - At Night! So you like all you have heard that Rotary has been doing in the Holmen community and around the world, but the Wednesday morning 7am meetings just don't work for you? There may be an opportunity for you and we would love for you to come and check it out. Holmen Rotary has started a group which will meet primarily evenings but be involved in the same projects as the current club members. For the next two months, the group will be meeting the first and third Wednesday evenings; May 6. May 20, June 3, and June 17 at Pizza Corral in Holmen 6pm. They will also have socials at 6pm the fourth Wednesday; May 27 and June 24 at locations yet to be announced. Please stop by and check it out. Call Dean McHugh 608-769-4803 if you have any questions. Come check out Holmen Rotary and Do Good in the World with us. In 1985 when Rotary began its polio eradication efforts, there were 350,000 cases annually in 125 countries. In 2014 the fight is down to three countries: Pakistan, Afghanistan, and Nigeria and only 147 cases reported year to date. Rotary will continue its efforts until every last case of this dreaded disease has been eliminated and all children of this world grow up free of this threat. 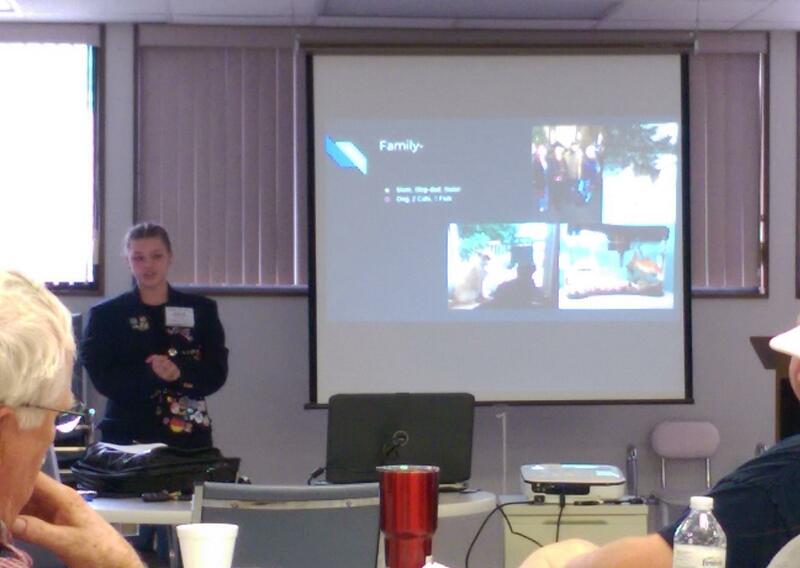 Zone Institute training for Rotarians from New York to Nebraska took place this fall in La Crosse. Rotarians raised over $92,000 for Rotary's polio eradication efforts during this five day event. Holmen Rotary's own Justin Bodin raised $2,500 of the amount himself through the sale of 100 special friendship bracelets he made for the event. With two to one matching by the Bill and Melinda Gates Foundation, the total amount resulting from the La Crosse event will be $277,000. That's enough to immunize over half a million children against polio! Four Holmen Rotarians recently made their third trip to Lima Peru. This time in addition to working on the club's ongoing clean water projects, Holmen Rotarians helped deliver Christmas presents to children in the poor villages courtesy of the fundraising efforts of fellow Rotarian Justin Bodin. Holmen Rotarians who were in Lima, Peru this last week to check the status of past and ongoing Biosand Water Filter projects were able to parlay their trip into a preliminary meeting on what they hope will be their next clean water project. 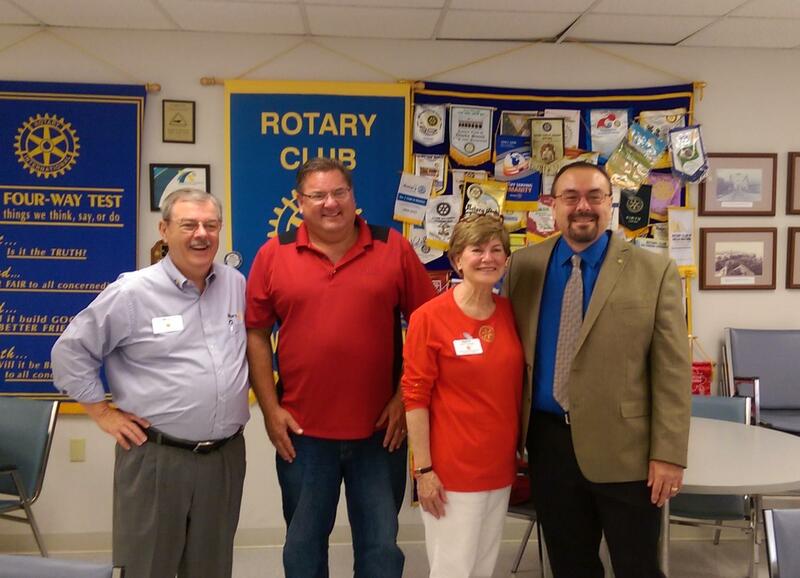 Holmen Rotary representatives met with Juan Simon, a representative of Water Missions International. We are in the process of submitting a grant request to Rotary International in the amount of $70,000. The grant would fund a centralized water filtration and distribution system, as well as 100 latrines for the community of 2,400 people. A video compilation by Holmen Rotary member Steve Johnston and his company the WOW Factory. The video shows many of the successful projects of our Rotary club including Peru Biosand Water Filters, Student Exchange, Holmen Police K-9 unit, E-cycle, Halfway Park Clock, and Holmen High School Interact Club. We meet 7am Wednesdays at Holmen Village Hall. Come join us. We need your help to change our community and our world. Come join us at Holmen Area Rotary where we help with projects like these to make our community and our world a better place. Holmen Rotary provides water and sanitation facilities to the rehabilitation of an old dining hall, which itself was a Rotary project some 75 years ago. Holmen Rotary members will travel to Lima, Peru in mid December 2013 to help deliver Christmas presents to children in villages served by Holmen's previous Biosand Water Filter projects. Alyssa McCathie, Madison Gabbers, Macie Frederick and Milena Moit, from left, took matters into their own hands and raised $334 for families affected by the shooting in Newtown, Ct., by going door to door singing Christmas carols. A story about Holmen Rotarian Justin Bodin and his quest to provide a one of a kind Christmas experience for 170 children in one of the poorest districts of Lima, Peru. Congratulations to Onalaska Hilltopper Club! A great video reflecting the fun that everyone had at the chartering dinner of Onalaska Hilltopper Club. A short video featuring Maria Moron. One of the early recipients of a water filter from this project. When Rotarians make a pledge, they follow through. At a Holmen Village Board meeting in February, Rotary members Nancy Luedtke and Scott Ryan announced a $20,000 pledge over the next two years to help cover the costs of purchasing and training a dog for the Holmen Police Department. Last week, Rotarians and guests - a crowd of 175 in all - raised $22,000 in a live "service" auction. The Holmen Area Foundation presented two awards at its sixth annual community breakfast held April 21. Beverly Rott received the Fred Frick Servant Leadership Award.